Nefertiti and her younger sister, Mutnodjmet, have been raised in a powerful family that has provided wives to the rulers of Egypt for centuries. 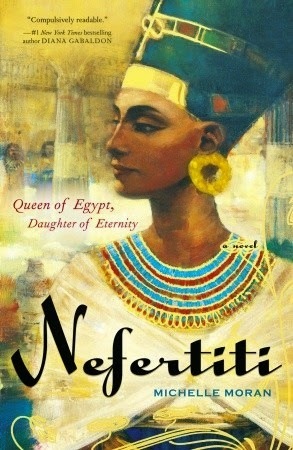 Ambitious, charismatic, and beautiful, Nefertiti is destined to marry Amunhotep, an unstable young pharaoh. It is hoped by all that her strong personality will temper the young Amunhotep’s heretical desire to forsake Egypt’s ancient gods, overthrow the priests of Amun, and introduce a new sun god for all to worship. From the moment of her arrival in Thebes, Nefertiti is beloved by the people. Her charisma is matched only by her husband’s perceived generosity: Amunhotep showers his subjects with lofty promises. The love of the commoners will not be enough, however, if the royal couple is not able to conceive an heir, and as Nefertiti turns her attention to producing a son, she fails to see that the powerful priests, along with the military, are plotting against her husband’s rule. The only person wise enough to recognize the shift in political winds—and brave enough to tell the queen—is her younger sister, Mutnodjmet. Observant and contemplative, Mutnodjmet has never shared her sister’s desire for power. She yearns for a quiet existence away from family duty and the intrigues of court. Her greatest hope is to share her life with the general who has won her heart. But as Nefertiti learns of the precariousness of her reign, she declares that her sister must remain at court and marry for political gain, not love. To achieve her independence, Mutnodjmet must defy her sister, the most powerful woman in Egypt—while also remaining loyal to the needs of her family. Love, betrayal, political unrest, plague, and religious conflict—Nefertiti brings ancient Egypt to life in vivid detail. Fast-paced and historically accurate, it is the dramatic story of two unforgettable women living through a remarkable period in history. This was my first Michelle Moran book and also my first HF about Egypt. This is also the authors debut novel (I love reading debuts). I really enjoyed reading this book, I thought the characters were portrayed nicely and I had pictures in my mind of what everyone looked like as well and the scenery. I kept thinking what a society, letting 15 & 17 year old's running the country, but if you are born royal that is your lot in like. I only wish that I knew alittle more about the culture, gods and calendar of Egypt.